NOW THAT'S A VIEW! a 14th story virtual panorama of the gorgeous city of Winnipeg to enjoy from the four season sunroom, the outdoor balcony (a rare combo in this building), the den, the kitchen, or the master bedroom!!. Master bedroom with 4p ensuite, great open concept living/dining combo with high ceilings, huge windows for natural light , large eat-in kitchen has plenty of cabinet space, front hall closet, In-suite laundry with tons of extra storage. Four season sunroom off the living room opens to covered open air balcony. From the 14th floor there are enviable views of the city and in particular, Assiniboine park and the river. 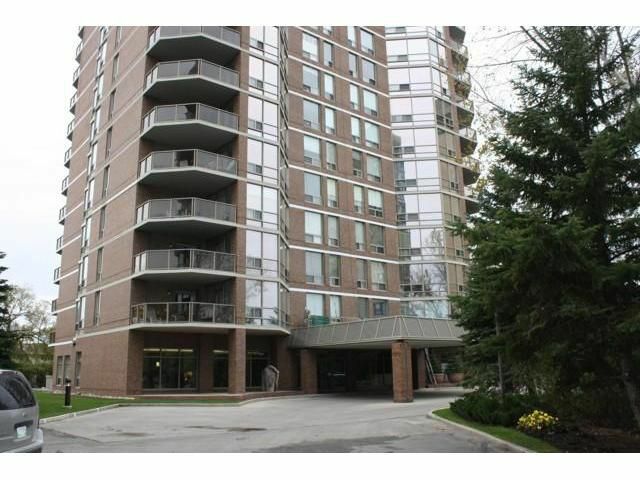 2 heated indoor parking spots (almost beside elevator door), valet parking, 24 hour security. & much more!! showings start now, Offers Wednesday 6pm sept 29th..